The mood was jovial. 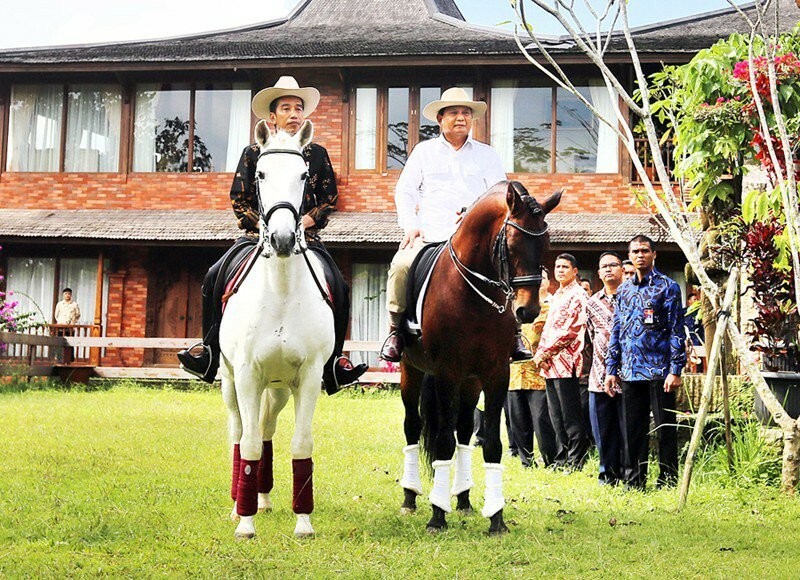 When asked to ride a horse, a sturdy stallion called Salero, President Joko “Jokowi” Widodo amused his host, Gerindra Party chairman Prabowo Subianto, with a typical self-deprecating joke. “This is a very big horse and I am very light. I saw the horse giving me a smile,” Jokowi said, referring to his slender physique. “He certainly has one advantage. He is light and horses like light riders,” Prabowo responded affirmatively. Later in the living room of Prabowo’s spacious ranch in Hambalang, Bogor, West Java, the topic of conversation was anything but light. Jokowi visited Prabowo, his former rival in the 2014 presidential election and leader of the opposition camp, to ask him to join in calling on political groups to ease tensions ahead of a Nov. 4 rally organized by Muslim groups. The groups have called for the prosecution of incumbent Jakarta Governor Basuki Tjahaja “Ahok” Purnama for alleged blasphemy. The planned rally, a follow-up to a chaotic street protest on Oct. 21, which was spearheaded by the firebrand Islam Defenders Front (FPI), will call for the imprisonment of Ahok for insulting the Quran. If the plan materializes, it would effectively ban Ahok from seeking reelection in the 2017 Jakarta gubernatorial election. FPI leader Rizieq Syihab has called for schools, businesses and government offices to close on Friday, urging people to join the rally. Senior politicians from Prabowo’s Gerindra Party and the Prosperous Justice Party (PKS), including House of Representatives Deputy Speaker Fadli Zon and outspoken lawmaker Fahri Hamzah, are expected to attend. In a statement after their meeting, Prabowo said he agreed with the President on the need “to maintain unity and guard against those who want to divide the country”. “We are a plural country with many tribes, religions and races. If we have problems, let’s solve them peacefully,” Prabowo said, adding that he shared Jokowi’s concerns about possible security threats at the planned rally. “Among other things, I am concerned about the security developments and I have to deliver my views to him because he is the country’s commander in chief. 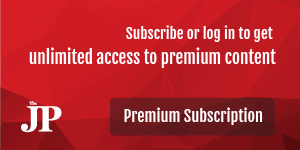 I am always ready to give input to the government when needed,” Prabowo said. Speaking after Prabowo, Jokowi declined to refer directly to the rally and only said that religious and political leaders should do more to ease tension related to regional elections. “I agreed with what has been said by Pak Prabowo. Religious and political leaders should join forces to cool down the situation,” Jokowi said. Jokowi also said the talk was a follow-up to a meeting in 2014 that took place shortly before he was inaugurated as president. The two politicians met again in January 2015 in the early months of Jokowi’s administration, when the ruling Indonesian Democratic Party of Struggle (PDI-P) was threatening to withdraw its support from Jokowi’s presidency, following his decision to postpone the inauguration of Comr. Gen. Budi Gunawan, a former aide of PDI-P matriarch Megawati Soekarnoputri, as National Police chief. After his meeting with Prabowo, Jokowi was scheduled to hold talks with several Muslim leaders, asking them to contribute to calls for peace during the simultaneous regional elections in 2017. On Tuesday, Jokowi is scheduled to meet with leaders from Nahdlatul Ulama (NU) and Muhammadiyah, the country’s largest and second largest Islamic organizations, respectively, to discuss the Nov. 4 rally. Political analyst Gun Gun Heryanto of the Political Literacy Institute said Jokowi recognized that tensions had reached such an alarming level that he needed Prabowo to amplify his message. “When the two leaders meet, it usually takes place in situations where political tension is at its highest. From today’s meeting, I see that Jokowi knows well from whom he could seek help to calm down tensions, which result from sectarianism ahead of the Jakarta election,” Gun Gun said. Despite warnings from Prabowo, House Deputy Speaker Fadli said he would not call off his plan to participate in the rally as the meeting between his party chairman and Jokowi had nothing to do with the planned rally or the Jakarta election. “The rally is not about politics, but about law enforcement against Ahok. The President’s meeting with Pak Prabowo is a regular get-together, following Jokowi’s promise in 2014 that he would visit Hambalang,” Fadli said. House Speaker Ade Komarudin, a Golkar Party lawmaker, said the meeting between Jokowi and Prabowo could contribute to easing tensions in the capital. “When two influential elites from two rival parties can sit together, it really helps deliver a message to calm down the current situation, because party members at the grassroots level can easily follow their actions,” Ade said.